Made out of 5 mm neoprene, glued and stitched seams, built in base. Folds flat. 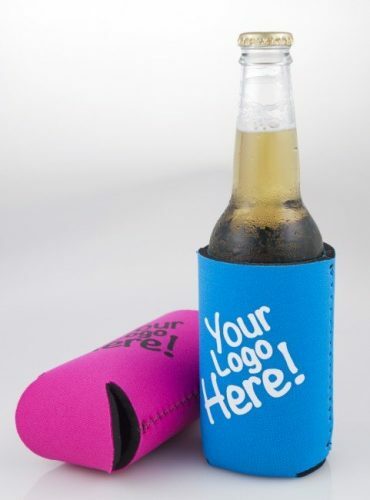 Made to fit 375ml and premium beer bottles and 375ml cans. Available in full colour print or single colour neoprene. Take it with you! 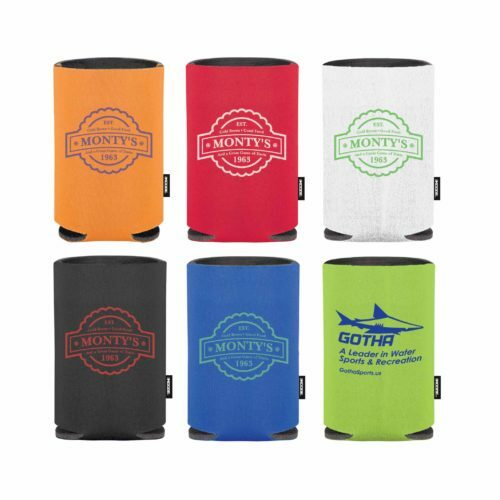 This collapsible can cooler folds so quickly you can put it in your pocket, purse and more! Grey interior form. Ideal for mailings and giveaways.